Today, I wanted to show you a little fun way of mixing your neutrals. I often get asked about color matching or color blocking etc and what is the right way. Honestly, there is not any one right way. It just depends on your style and what you feel comfortable wearing. Be true to yourself and whatever makes you happy. Now, you can mix neutrals in so many different ways and get away with it, as oppose to bright colors. Take for example the palette above. 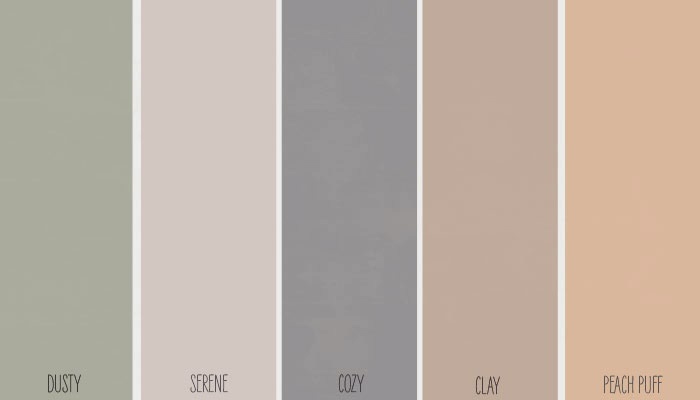 On the palette there are 5 different neutral colors (Dusty, Serene, Cozy, Clay and, Peach Puff), these are just fancy names for each color. If you wanted to you could wear each color in one outfit. For example, in the pictures of me above I am wearing 5 different neutral colors represented on each piece of garment, shoes and, accessory. You can get away with it, try it. Try something new. Top (Sweater): H&M-similar here Khols, Skirt: Dress worn as skirt: F21-skirt idea Here-H&M, Clutch (H&M): Similar- H&M, Shoes: Steve Madden-similar Nordstrom-50% off Now Belt: Target, Ring: Aldo, Necklaces: Charlotte Russe & Nordstrom Rack.